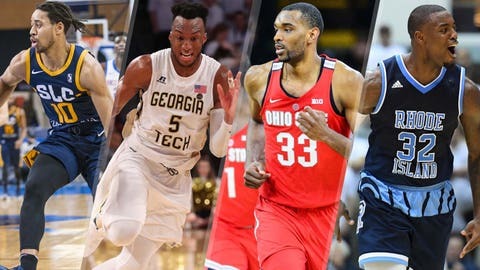 The NBA's Summer League in Las Vegas begins Friday and the Minnesota Timberwolves' squad features both of this year's draft picks as well as the team's G League star . Here’s a quick breakdown of the players on Minnesota's roster in the NBA Summer League (in alphabetical order). After attending Motlow State Community College, Barford played two seasons at Arkansas. As a senior he was a first-team all-SEC selection after averaging 17.9 points and 3.5 rebounds per game. He made 87 3-pointers, connecting on 43.1 percent of his attempts. 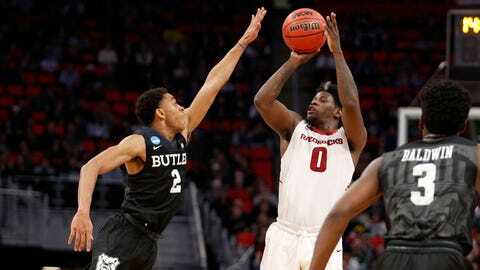 Barford shot just 26.6 percent from 3 as a junior, when he averaged 12.8 ppg. Minnesota's second-round draft pick left Ohio State after being named the Big Ten's player of the year following his redshirt junior season. In 2017-18, Bates-Diop, who also was a Julius Erving Award finalist and Naismith Player the Year semifinalist, averaged 19.8 points, 8.7 rebounds and 1.6 blocks. This came one year after playing in just nine games, averaging 9.7 points, due to a stress fracture in his leg. Undrafted out of Boston College in 2016, Clifford played in the G League the year after college and in Germany last season. He averaged 9.3 points and 4.7 rebounds in 66 combined games (league, Eurocup and German Cup) with ALBA Berlin in 2017-18. 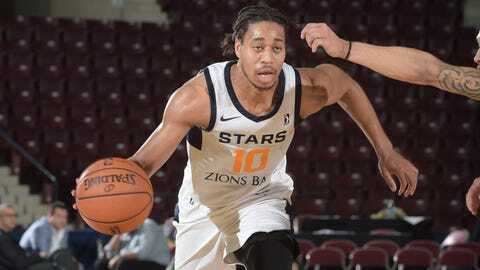 Cooke also played last year on Minnesota's summer team, averaging 10.0 points over 20.3 minutes per game. 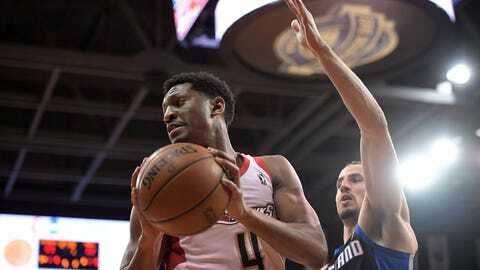 He opened the 2017-18 season with New Orleans, appearing in 13 games with 38 minutes of court time, before playing in the G League for Greensboro and Salt Lake City, combining to average 12.7 points and 4.0 rebounds per game. In two years at Dayton, where he transferred after two years at James Madison, Cooke averaged 15.7 points and 5.5 rebounds. This will be Cousins' third time in the summer league, having previously played for Sacramento and New Orleans the past two years. 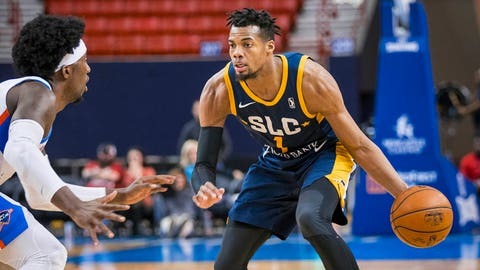 The former Oklahoma guard played in the G League the past two seasons, averaging 13.5 points for Salt Lake City last season, and also appeared in six games for Cholet Basket in France in 2018. 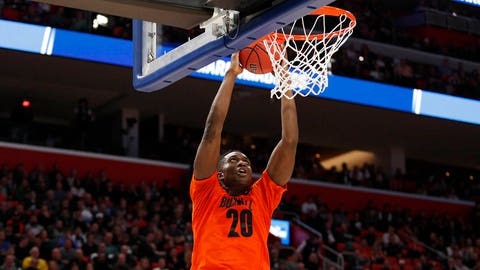 Bucknell's Foulland was named the Patriot League's player of the year and defensive player of the year this past season. 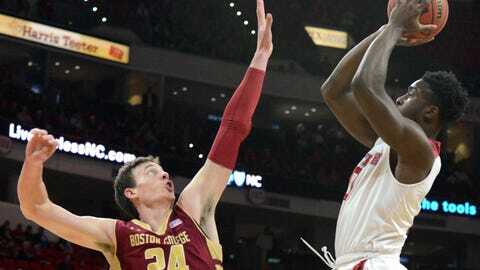 As a senior, he averaged 15.2 points, 7.0 rebounds and 1.7 blocks while shooting 58.7 percent from the field. After averaging just 5.4 points as a senior at LSU in 2015-16, Gray has found his scoring touch in the G League. Playing for Northern Arizona, he averaged 13.5 points in 2016-17 and 19.4 points, along with 6.4 assists, 4.8 rebounds and 2.3 steals, last season, which earned him two 10-day contracts with Phoenix. 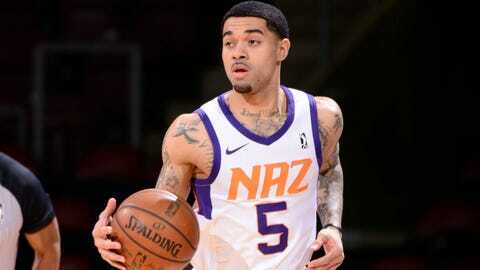 He played in just five games with the Suns, but averaged 6.4 points in 17.3 minutes per game. 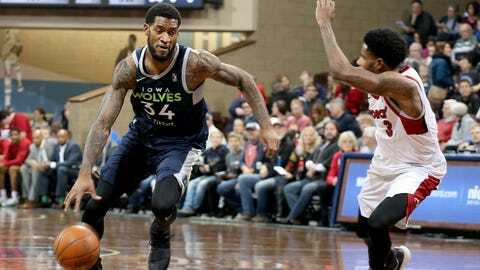 Jefferson went undrafted in the 2017 draft, but he quickly found a role in the Timberwolves organization. 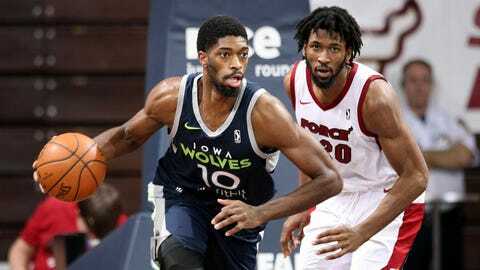 Signed onto last year's summer league team, Jefferson went on to start for the G League Wolves, averaging 17.8 points and 12.8 rebounds per game. His play earned him an upgrade to a two-way contract in January, but the 25-year-old never appeared in a game for the Timberwolves. Jones, a first-round pick by Oklahoma City in 2012, hasn't appeared in an NBA game since 2015 but hasn't given up on the dream. Jones played 26 contests with Iowa last season and tallied 10.7 points 5.0 rebounds per game. Koulechov bounced around in college, playing one season at Arizona State and two at Rice University before wrapping up his career at Florida last year. A native of Russia, Koulechov started 34 games for the Gators last season and averaged 13.8 points, 6.4 rebounds and 1.2 assists per game. Koulechov's best season in college, however, was his junior season at Rice. He shot 3-pointers at a 47.4 percent clip and scored 18.2 points per game. 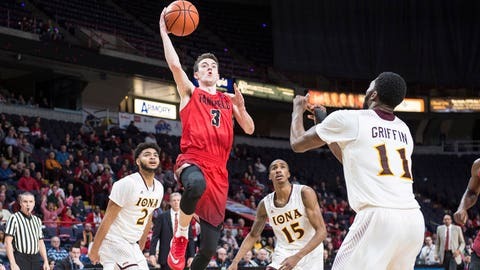 Nelson finished his four-year career at Fairfield as the program's leading scorer (2,172 points) and 3-point shooter (315 career 3-point buckets). He averaged 22.2 points per game last season as a senior, enough to top the MAAC and earn All-Conference honors for a second straight year. Nelson was voted the Massachusetts Gatorade Player of the Year in 2013-14, his senior year of high school. Selected 20th overall by Minnesota in this year's draft, Okogie will be a player to watch this summer on both ends of the floor. The 19-year-old averaged 18.2 points and 6.3 rebounds in 36.4 minutes per game as as sophomore at Georgia Tech last season and shot 38.2 percent from 3-point range in his career. His 7-foot wingspan should keep opponents in check at Summer League. 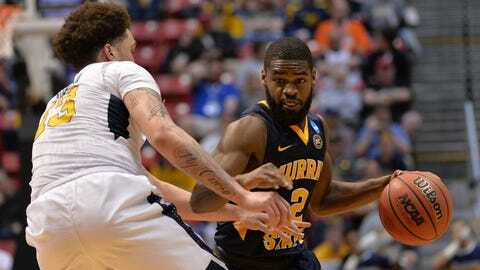 After two seasons at Tulane, Stark transferred to Murray State and starred for the Racers from 2016-18. He broke the program record for 3-pointers in a single season -- twice, setting the pace with 108 in 2016-17 and breaking it again last season with 110. His average of 3.8 made 3-pointers per game ranked eighth in the nation last year. Terrell was a key piece of Rhode Island's team that won a game in the NCAA tournament last season, defeating 10th-seeded Oklahoma 83-78. Terrell sunk three 3-pointers and finished with 13 points in that contest, slightly below his season average of 16.8 points per game. 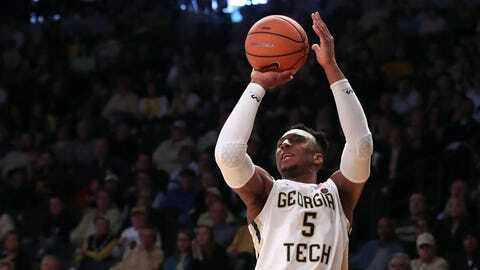 A pure scorer at 6-3, Terrell shot 42.7 percent from the field and 41.4 percent from the perimeter as a senior. 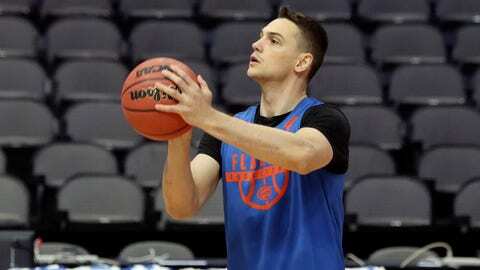 White went undrafted in 2017 and spent last season with the Atlanta Hawks, making his NBA debut in February. He appeared in 15 contests with the Hawks, averaging 4.6 points and 2.3 rebounds in 13.9 minutes per game. White also played in 38 contests with the G League Bayhawks, tallying 16.0 points, 4.6 rebounds and 1.2 assists per game.